Five recommended exercises for people over 50. There’s no denying you’re getting older. It happens to everyone, and when you reach the age of 50, you’re entering a new phase of life. Things are slowing down, you don’t have the same energy you used to, and new wrinkles and gray hairs are appearing. If you want to stay fit and healthy through your middle years and beyond, exercise must be a part of your daily life. An active lifestyle is associated with a decreased risk for numerous health conditions that come with aging. Whether you’ve been exercising for years or are new to fitness, it’s important to take age into account as you plan your workout routines. Many people notice a shift around the age of 50. Exercise no longer has the same effect, you tire more easily, you have more aches and pains, and you become more prone to injury. 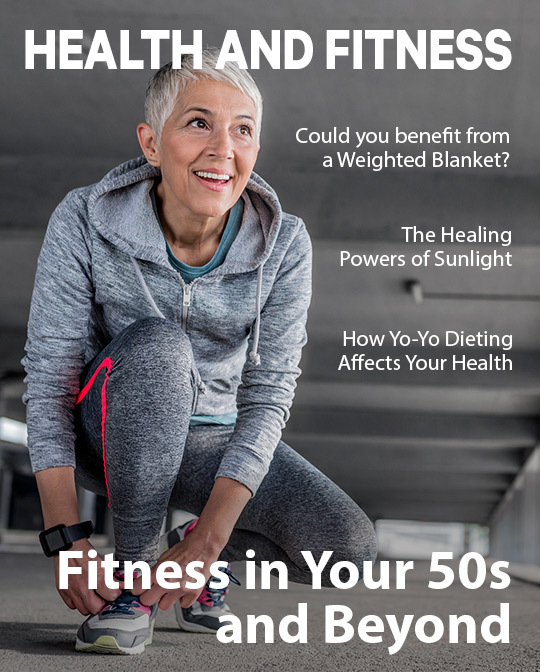 Taking all this into account, here are five of the best exercises to consider once you reach age 50 and beyond. Whether you’re 5 or 95, walking is one of the safest and simplest exercises you can do. No special equipment or training is needed, making it easy to walk just about anywhere, anytime. It’s also a low-impact exercise, meaning it’s easy on your joints—something that’s increasingly important as you age. You may not burn as many calories walking as you would jogging or doing other more intense workouts, but with a consistent brisk walking routine you can lose weight, strengthen muscles, improve heart health, and just enjoy the great outdoors. Another great low-impact, cardio exercise for people in their 50s and beyond is swimming. Swimming laps or water aerobics are recommended ways to stay in shape, lose weight, and strengthen bones. Check with your fitness center today about signing up for a water fitness class and find one that fits your personality. You may be gaining weight, but as you age you’re likely losing bone density and muscle mass. For this reason, strength-training exercises become all the more important in your latter years. Maintaining muscle mass will help ward off weight gain and increasing bone density will help prevent brittle bones that are easily broken. In your younger years you probably managed fine without much stretching, but as you age, flexibility and range of motion begin to decline. A regular stretching routine is one way to prevent injury and stay limber. Right after your strength-training sessions is an ideal time to stretch since your muscles and tendons are warmed up. Two to three days a week, plan to spend a few minutes performing stretches that work all major muscle groups. Yoga and Pilates are both workouts that improve flexibility, strengthen muscle, and burn calories at the same time, so slip them in your routine and age with even more grace. 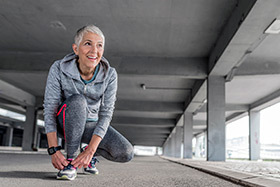 Maybe you got away with skipping your warm-up in years past, but an adequate warm-up before exercise becomes increasingly important as you get older. A warm-up allows your heart rate, breathing, and body temperature to gradually increase. Since you’re not as flexible as you used to be, a warm-up period also preps your muscles for exercise and slowly increases the range of motion of your joints. Spend three to five minutes at the beginning of your workout doing light cardio or gentle stretches. Ready to push yourself physically? Remember: you don’t have to do it alone. Work with your personal trainer to develop a workout routine that fits your age and fitness ability for a safe exercise routine that helps you get the results you desire.